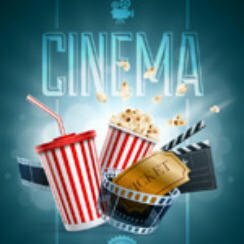 Popcorn Cinema Show takes a look at the weeks new movie releases for 15 July 2016 in the UK, US, Australia and New Zealand at the cinema, plus all the weeks film news. Ghostbusters & Ice Age Collision Course are just two of the new releases to hit cinemas. Remake or reboot of the classic 1984 film. Scrat’s quest for the elusive acorn sees him takes him out into the universe where he accidentally sets off a series of cosmic events. Rell’s (Jordan Peele) cat is taken and now he, along with his friend Clarence are out to recover him. However things take a turn for the worse when they end up involved with a violent gang.